Mélange is specially formulated and manufactured for application through drip system. Melange contains essential and vital Micronutrients needed by crop, in readily available form. 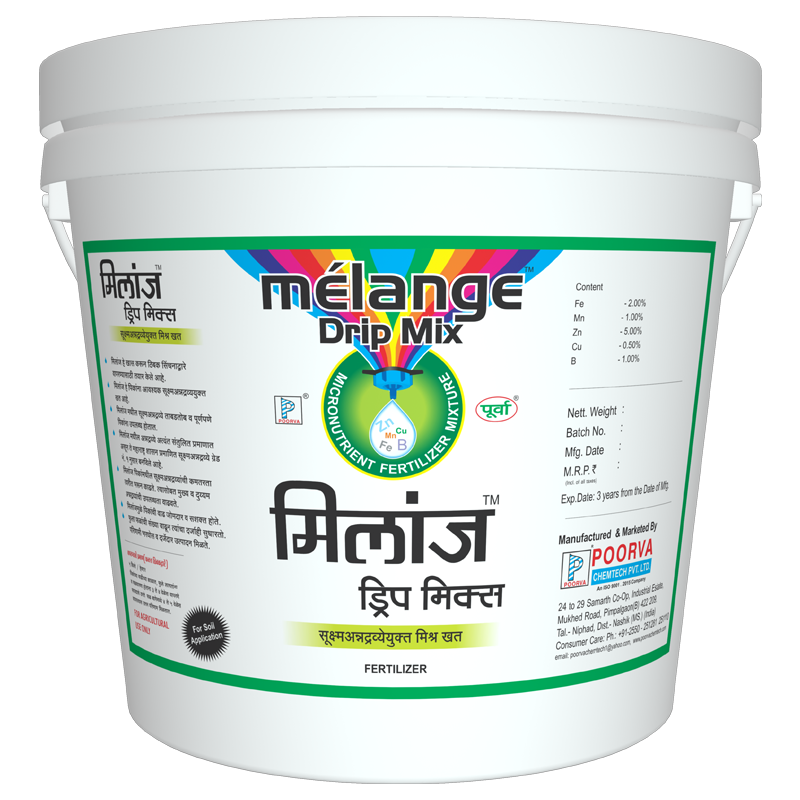 Melange is specially formulated and manufactured for application through drip system. Melange contains essential and vital Micronutrients needed by crop, in readily available form. These nutrients are provided with chelating agent. Due to this nutrients are fully absorbed and utilized by crop. Melange is completely water soluble micronutrient fertilizer. It corrects the deficiencies in all crops which arise due to lack of micronutrients. In all it improves the quality and yield of crops. It gives healthy and sound crop growth. It also assists in availability and uptake of other macro elements. For Fertigation: 5 kg /Hectare.